Our Bermuda spring has been, in my opinion, unseasonably cool. We’ve had more rainy, cloudy days than I recall for the four springs that I’ve lived on the island, and the water is taking longer to warm up, which means that I haven’t been in it yet. Until this weekend. A friend of ours invited us out on his boat Sunday to join a flotilla accompanying the Sea Dragon, a science vessel, out to sea. The day dawned cloudy and cool, with rain on the horizon. “Do you think we’ll still go?” I asked my husband, hoping he’d say probably not. But no, we packed our picnic lunch and our snorkel gear (and jackets! ), and at 8:30am got on our scooters and rode to Jim’s boat. Once aboard, we sailed in the rain to Hamilton Harbour to join the other boats. I have to say that we looked a little like drowned rats by the time we arrived. Finally our little flotilla headed off–four boats sailing out of the harbour under clouded skies. (We figured others had let the rain influence their decision not to join the parade.) Despite the wet grey skies, our spirits were high. In the distance we saw patches of pale blue. And those patches gradually got bigger and bigger, so that by the time we reached the point where the Sea Dragon would leave us behind, the air was warm and sunny, the sky blue, and the water turqouise. We headed for Whalebone Bay, where we anchored, donned our snorkel gear and jumped in the water. Brr, it was chilly. Nevertheless, I put my head down and flutter-kicked my way to the reef. 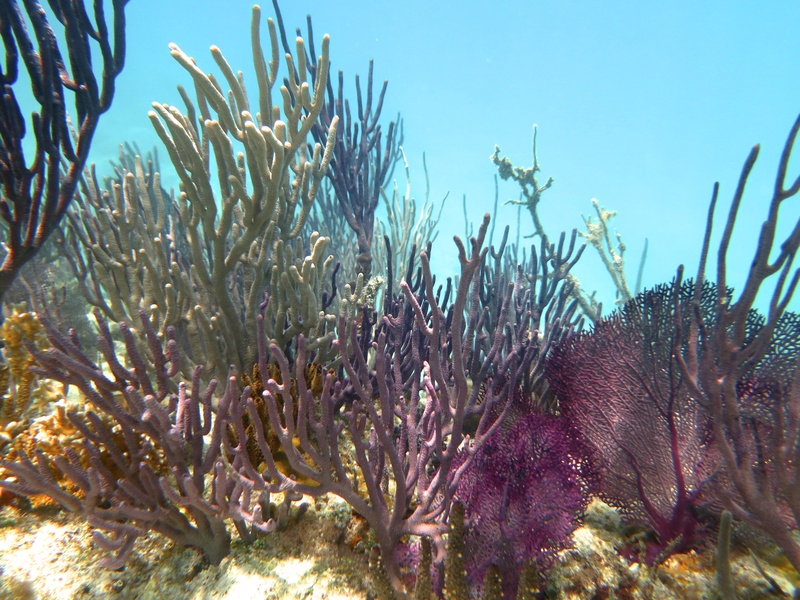 When I caught sight of a big purple fan coral and a little sergeant major swimming toward me, I forgot all about being cold. “Ah,” I thought. “I’m home.” That’s right, home. It had been months since I was under the water and I hadn’t realized how much I missed it until that sea fan made me feel like I’d returned to where I belonged. By the way, that photograph is one I took while snorkeling on Sunday. Can you see why I was so happy to be back there? It seems that I have been on a hiatus with my blogging, having not posted anything at all last week. The truth is that I’ve also been on a hiatus from writing fiction. Since I finished the manuscript for my second women’s fiction novel, I’ve not written anything new. What I have been doing is reading. Over the past two months, I’ve read fourteen novels. It feels a little bit as if I’ve returned to the pre-author me, where reading was my number one activity. I have noticed, may even have mentioned it before, that when I’m immersed in writing fiction I feel less than inclined to get caught up in someone else’s fiction. 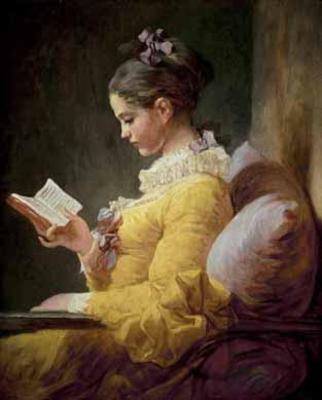 I certainly am interested in the books, and take them to bed with me to read before turning the light out. Inevitably my eyes will drop shut before I’ve barely read two pages. Not so for April and May. I’ve been gobbling up the stories and reading well into the late hours, not falling asleep in the middle of a paragraph. However, while my fingers have been idle, my mind has not. In addition to reading so much these past couple of months, my imagination has been running wild with ideas for my next project. Whenever I do something that is “mindless,” such as washing dishes or walking or showering, ideas burst forth for stories and characters. Eventually I know I will narrow in on one of those ideas and get to work. Does that mean that reading is my muse? That getting caught up in others’ stories sparks my own imagination? One of my Facebook friends posted this photograph on Facebook. It was taken by Canadian astronaut, Chris Hadfield while in space. He posted it on Twitter. My first reaction to seeing this photo was one of awe and pride. This is the island that I currently call home. I love the turquoise blue waters that surround it, the flora all over the island, the charm of the narrow curving roads and stone walls. 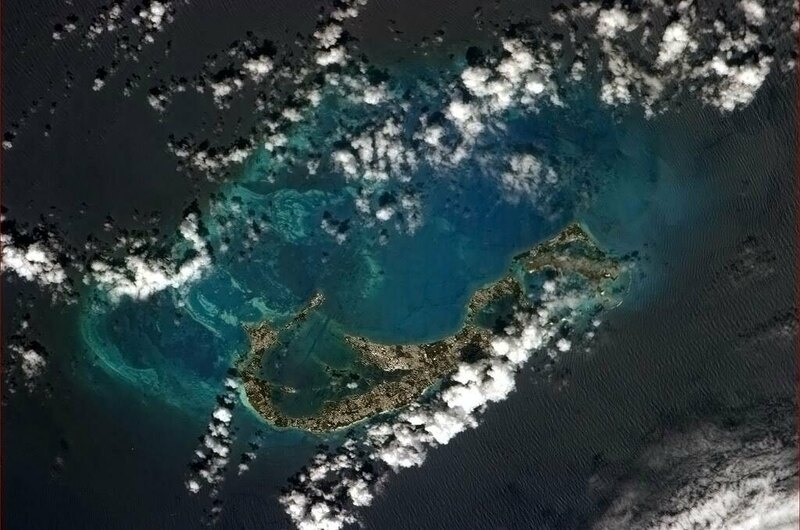 Seeing it from space, Chris Hadfield wrote, “Bermuda is beautiful, both above and below the sea.” He is so right–I have been diving among the reefs that surround the island, and yes, they are as beautiful as the island on which I ride my scooter. This photo prompted me to Google other photographs that Chris Hadfield posted from space. They are amazing. I am filled with a sense of wonder at how our world looks from such an vast distance, and am immensely grateful that Mr. Hadfield has a Twitter account! Are we not fortunate to live in a time where the technology exists so that we can all have a birds eye view of our amazing world? Recently I had the privilege of judging an essay contest for an organization called Passports to College. The essay topic was: “Think about what it means to be a man of honor. Describe the values your mother has instilled in you that empowers you to be an honorable man who contributes to society?” The writer of the winning essay will receive a scholarship that is to be awarded at an annual mother-son brunch held in June. The entries were varied in writing style and content, but every one of the young men who submitted an essay had a unique and powerful story to tell. As a judge, I used a rubric by which to assess the essays, taking into consideration the introduction and conclusion, main points, organization, style and mechanics. This helped to break down the scores on an even plane, making it easier to rank them. However, some of the categories are subjective, which didn’t make it easy at all! Going through this process made me think about how we judge novels and what we base our enjoyment and satisfaction on when we read. I am both a writer and an avid reader, so I find this topic very relevant. Whatever I read has to draw me in almost immediately. If it doesn’t, my interest wanes and I stop. Even the driest subject matter, if handled artfully, can hold my attention, but the writer must ply his(her) talent to make it interesting and engaging. If I get caught up in a story I forget about all the mechanics because the narrative completely draws me in. However if, while I’m reading, I am distracted by poorly written sentences, or characters that are shallowly depicted, or irrational plot progression, then it does not take me long to discard the book. I keep that in mind when I write my own fiction. Obviously I don’t want readers to discard my book. I want them engaged and reading every page to the end. So when I write, I also have to wear a reader’s hat. I have to judge my own writing and be blunt in my assessment. Back to the essay contest. Some of the essays submitted were very engaging; others were not. However in my opinion, writing what is in one’s heart and submitting it for public reading takes a lot of courage. So although only one of the entrants can win the contest, in my mind all the boys who entered the contest are winners.